Shabaab of Rafah became the first Gazan team to win football's Palestine Cup in more than a decade Friday, despite Israeli restrictions keeping 10 of its players off the pitch. Rafah and Ahly al-Khalil from the southern West Bank city of Hebron which hosted the game ended the second leg nil-nil, but Rafah's 2-0 first leg lead meant it took the title. The Gazan club had to field a weakened side, with only 15 of its 25 members of the playing squad given Israeli permits to travel. Rafah director Khaled Kweik told AFP it was the first time the team had ever won the cup, calling it a "historic" victory. "We were harassed as we entered the West Bank and the Israelis banned 10 players from entering," he said after the final whistle. "But the rest of the players were able to protect the draw and take the title." The West Bank and Gaza are separated by Israel, and Palestinians looking to travel between the two must apply for Israeli permits. Ahly won the cup in 2015 and 2016, but its home advantage in this year's second leg was not enough to see it overturn the two-goal deficit. 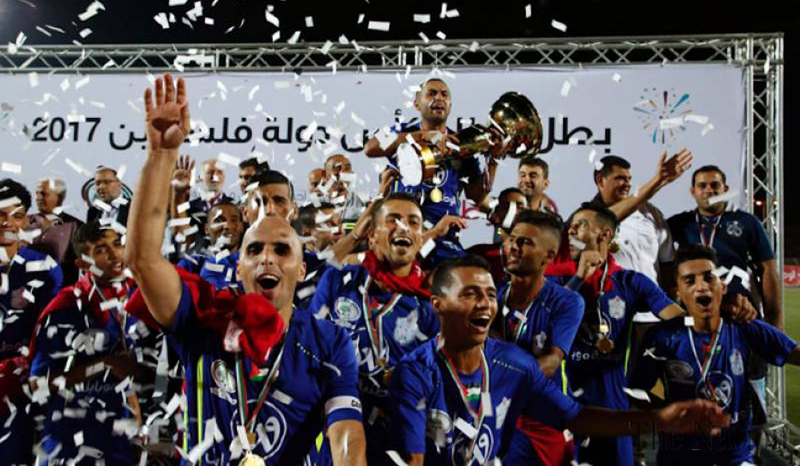 The annual fixture pits the winners of separate cup competitions in Gaza and the West Bank over a two-leg final -- one in each of the Palestinian territories. The cup did not take place for 15 years largely over problems with Israeli permits, but resumed in 2015 after world football body FIFA intervened. On Thursday, Shabaab announced that 10 of their players had been prevented from entering Israel through the Erez border crossing with Gaza. COGAT, the Israeli defence ministry agency responsible for civilian affairs in the Palestinian territories, said the ban was for "security reasons" compounded by a late submission of paperwork.